The Christmas holiday period is a time when, for millions of families, the daily routine is likely to change, sometimes drastically or sometimes just a little. If you have a newborn or very young baby in the house, be aware that babies do pick on the changes in the house. It may seem they are lazing around in their crib sleeping most of the time but babies are much more in tune than we give them credit for. 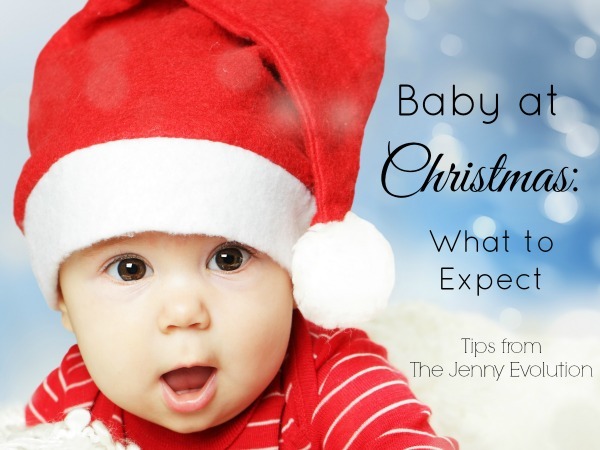 They will be aware of differences in their environment, so it is a good idea to think about the well being of the baby in advance and plan your Christmas period accordingly. Probably the first sign that something different is going on in the home will be the Christmas decorations and ornaments going up. While the baby may seem oblivious to all commotion and activity as the decorations go up all around, there is a good chance that a baby who has lived in the house for a few months will be very aware of them, even if they cannot focus on the detail of the decorations themselves. This is a good time to get the baby involved in Christmas, right at the start, by letting them lie in the room being decorated while they are awake. Let them watch the rest of the family as they hang the Christmas tree decorations and lights, and all the other ornaments. Once in a while, take over an ornament that is bright and let her see it up close; find some that make a noise, and let her hear the gentle sounds up close. Nothing too noisy, of course, that will scare the baby, just the gentle sounds. Also, pick her up and take her up close to hanging ornaments. That will help the baby feel a part of what is going on, even if they do not have a clue what it is all about. If your Christmas holiday is being spent at home, then the routine with the baby need not change too much. If you are expecting a lot of guests, though, then it may be rather different, so try not to forget to plan for the baby too. If you are getting caught up in a frenzy of cooking and other preparation in the days before Christmas, and on Christmas morning, then try to involve the baby just a bit, by allowing her to lie in the kitchen with you, or in whatever room the preparation may be going on. Remember, your baby will sense stress and anxiety in the parents, so it is best to allow plenty of time for your preparation so that you are not too rushed and stressed out. If the baby is used to having a lot of people around, then she will probably not be too disturbed by the sudden influx of visitors. Even then, remember she needs peaceful periods, and when she joins the throng while awake it is worth keeping an eye on whether she is becoming overwhelmed by too much boisterous attention, especially as the alcohol may flow later in the day, or sooner in some cases. Always remember, your baby just needs love, warmth, care, food and security, so as long as you remain conscious of those things at all times, then your baby can enjoy Christmas as much as you, even though she may not be able to tell you so. 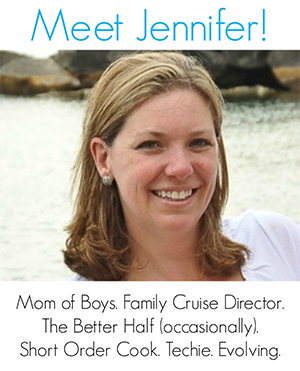 If you are going away, then the routine upset will be greater, so it may not be quite so easy for baby or parents. Everything mentioned above for staying at home still applies, and the travel preparation should be no different than for an ordinary trip away. However, take extra care and ensure you have everything that you will need for the baby while traveling and away, listed well in advance and organized in plenty of time. Depending on where you live, there may not be shops open on Christmas Day, and Christmas Eve shopping may be a stressful nightmare for you and the baby. So, it is well worth getting yourself, and your baby’s, things well organized in advance. 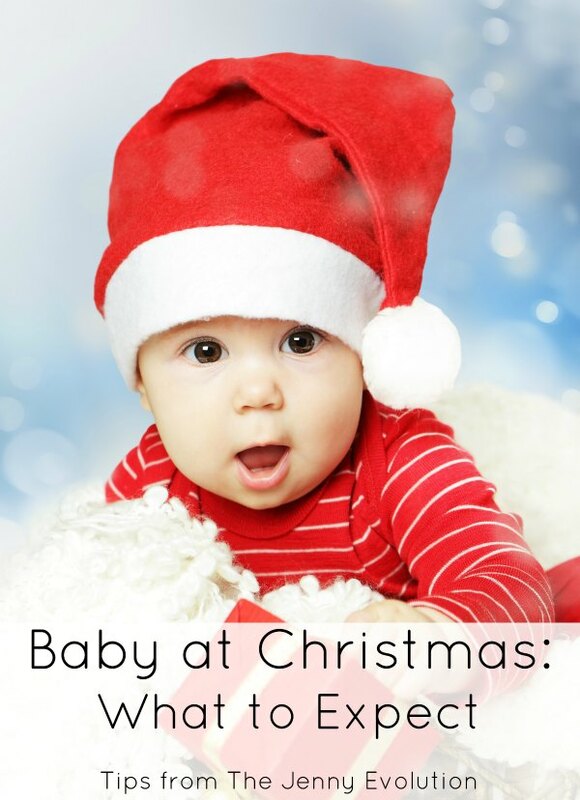 Christmas should be a great time for you, your family and your baby. Much will be just as normal, but it is always worth remembering that she will be aware of anything that is different, whether in surroundings, tension levels, or sounds. If you are breastfeeding, you should be aware that what you eat and drink will provide her milk. So long as you remain aware of those things, and act accordingly, your baby will be happy, and have a good grounding for getting more involved next Christmas.